OpenNebula 4.0 Beta is out for testing! March 26th, 2013. The project has come a long way since the first “technology preview” of OpenNebula five years ago. 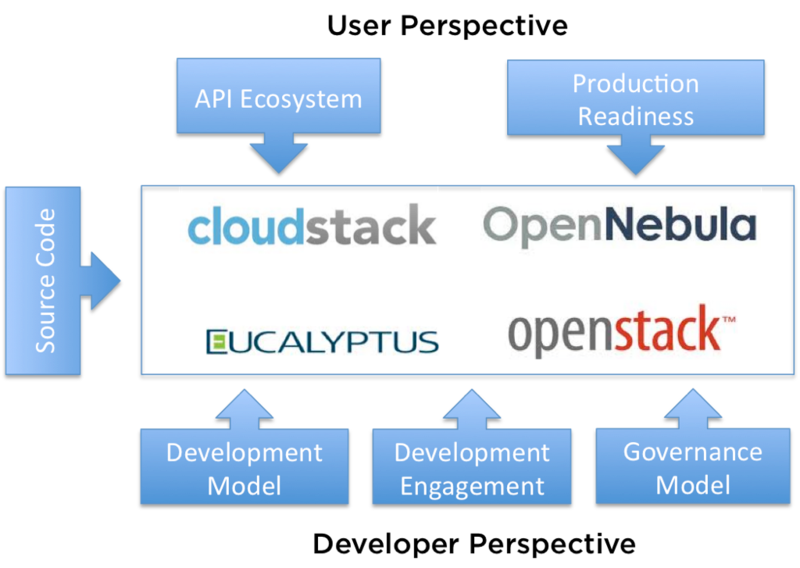 During these years we’ve witnessed the rise and hype of the Cloud, the birth and decline of several virtualization technologies, but specially the encouraging and exciting growth of OpenNebula; both as a technology and as an active and engaged community. 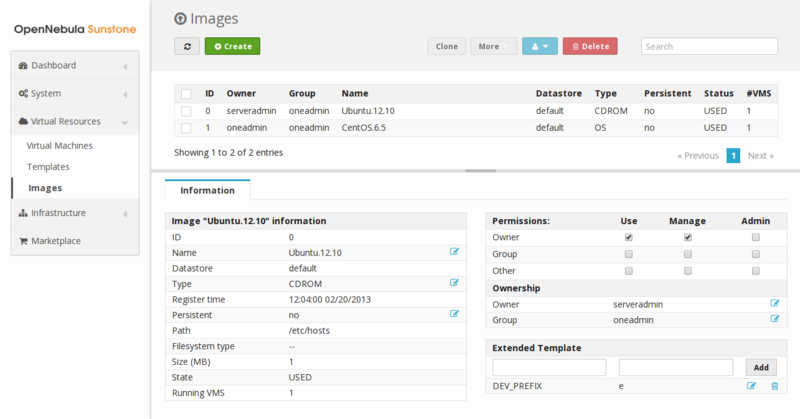 OpenNebula 4.0 includes new features in most of its subsystems. We are showing for the first time a completely redesigned Sunstone, with a fresh and modern look and an updated workflow for most of the dialogs. A whole new set of operations for VMs like system and disk snapshoting, capacity re-sizing, programmable VM actions and IPv6 among others. There are some new drivers also, like Ceph; as well as minor improvements for VMware, KVM and Xen. The scheduler has received some attention from the OpenNebula team to easily define more placement policies… and much more. Check the full release notes for details. https://opennebula.org/wp-content/uploads/2018/11/opennebula_cloud_logo_white_bg-4.png 0 0 Ruben S. Montero https://opennebula.org/wp-content/uploads/2018/11/opennebula_cloud_logo_white_bg-4.png Ruben S. Montero2013-03-26 21:17:232013-04-01 08:55:46OpenNebula 4.0 Beta is out for testing! Though OpenNebula may seem the obvious choice, believe it or not there are still some that patch together complicated solutions to solve their day-to-day data center virtualization challenges. To bring some light to the darkness, I’ll join FLOSS UK Spring Conference next Wednesday and Thursday (20 – 21 March) to give a talk on OpenNebula. FLOSS UK (previously UKUUG) is the UK’s oldest open systems user group. I’ve enjoyed the Leeds and Edinburgh conferences over the past two years, and found them a guarantee for interesting talks. This year should be no different, and the conference will take place in Newcastle upon Tyne. My talk will focus on OpenNebula’s current features as well as some upcoming ones for version 4.0. To avoid the possibility of a potential slide war, my talk will focus on a live demo of our OpenNebula setup in Nuremberg. Live migration of web servers on the fly is the best demonstration of reliable data center virtualization, and will be a good testimony to OpenNebula’s stability. If it doesn’t work, I may still have a warm welcome back in the office – that being said, failing is not an option! If you still have no plans for next week, come over to Newcastle and join me at the FLOSS UK Spring Conference 2013. I look forward to seeing you there! A huge effort is being put in by the OpenNebula team to finish and polish the features that define the upcoming OpenNebula 4.0. Here’s our monthly newsletter with the main news from the last month, including what you can expect in the coming months. The OpenNebula team has been busy with the next major release, OpenNebula 4.0. We expect the Beta release to be available in mid-March, followed by the final release towards the end of the month. There has been already leaks of the Sunstone facelift, and the team is working at top speed to add the latest features to the Web GUI. For instance, the ability to create virtual machine snapshots and hotplug network interfaces, as well as the possibility of schedule actions over virtual machines (“shutdown this machine next saturday at 10:00am”) are currently at work in the Sunstone interface. Also, there has been a major reform of the command line interface, with new added possibilities. After receiving several requests from our users to sponsor some particular features, a new program called “Fund a Feature” has been created, which allows organizations to fund the development of new features. And lastly, we have prepared an article to briefly describe our experience about the different types of cloud models, and our view about how the main open-source cloud management platforms (namely Eucalyptus, CloudStack, OpenStack and OpenNebula) are targeting their needs. The community has been as vibrant as ever this month! We have amazing contributions like the really good help at the time of the development of the new Ceph drivers. An amazing contribution in the realm of the LVM shared drivers has also emerged from the community, with a very neat and detailed documentation. Moreover, contributions to the ecosystem components have been made as well, like the cxm cluster, a solution to host virtual machines on a pool of Xen hypervisors connected to a SAN.